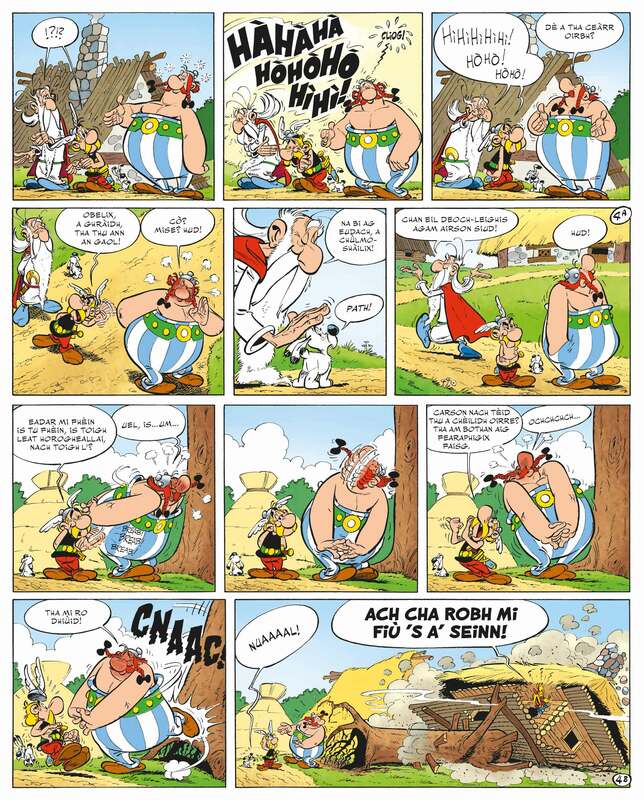 Tha Obelix air càil a bhìdh a chiall; chan eil aire air a bhrù tuilleadh… Carson? Oir tha e ann an trom-ghaol le Horogheallai! Dùrachd a chrìdh’, ach tha ise ag ionndrainn a leannan Randanaix, a chaidh a ghabhail dhan arm Ròmanach an aghaidh a thoil. 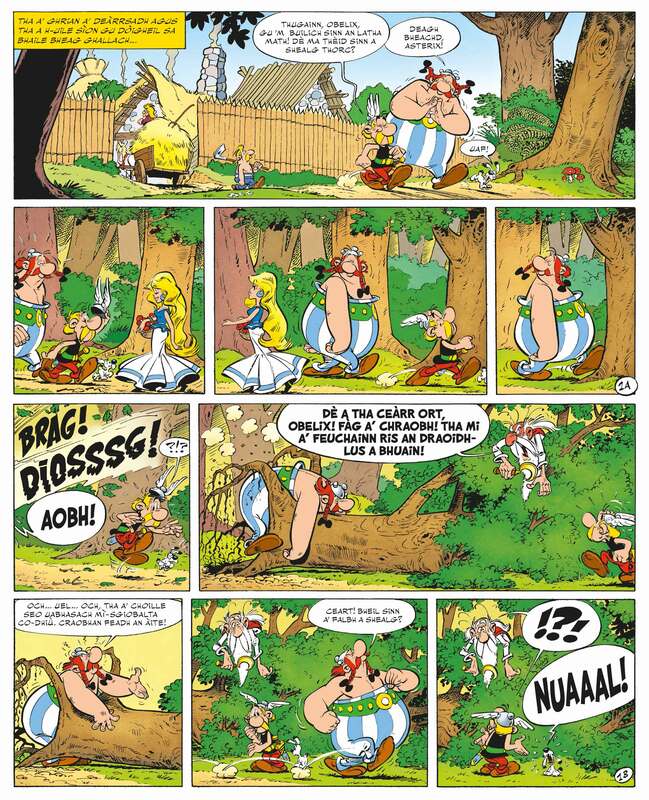 Gus Horogheallai a chuideachadh, tha Asterix agus Obelix a’ gabhail dhan arm gus Randanaix a shaoradh. Tha iad a’ falbh a chur cogadh Cheusair air a cheann ach, aig a cheann thall, ’s e gaol a bheir buaidh! 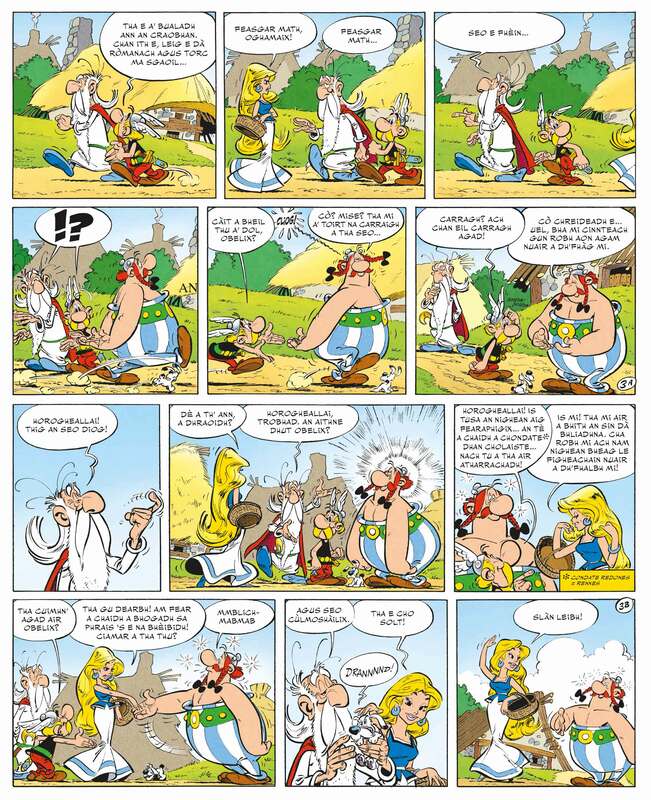 Obelix has completely lost his appetite; his mind is a million miles away… Why? Because he’s head over heels in love! But the beautiful Horogheallai, the girl of his dreams, is pining for her betrothed Tragicomix, who’s been press-ganged into the Roman army. 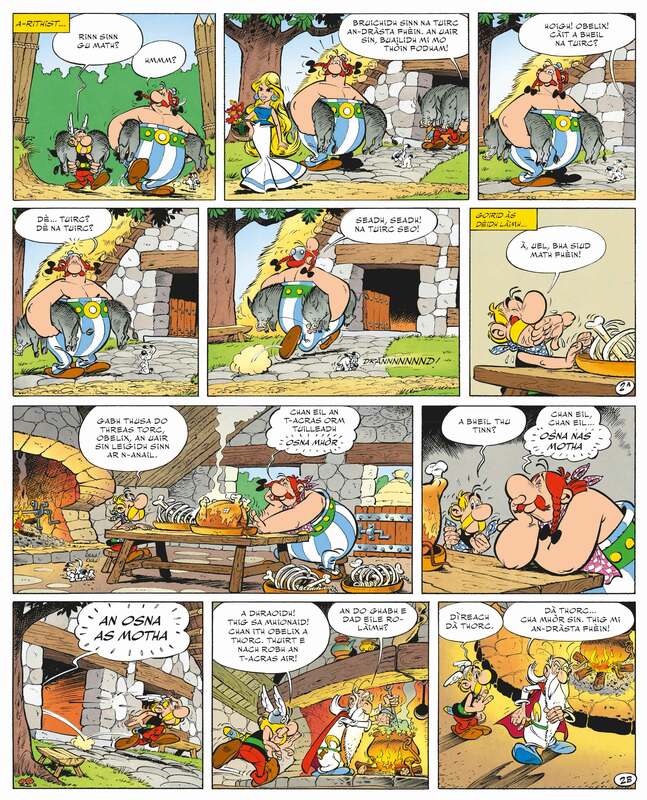 Determined to make Horogheallai happy, Asterix and Obelix decide to join up and rescue Randanaix. But their presence on the battlefield adds to the confusion of Caesar’s war plans, as they try and make sure that love conquers all. Mae’r llyfr yn y fasged!